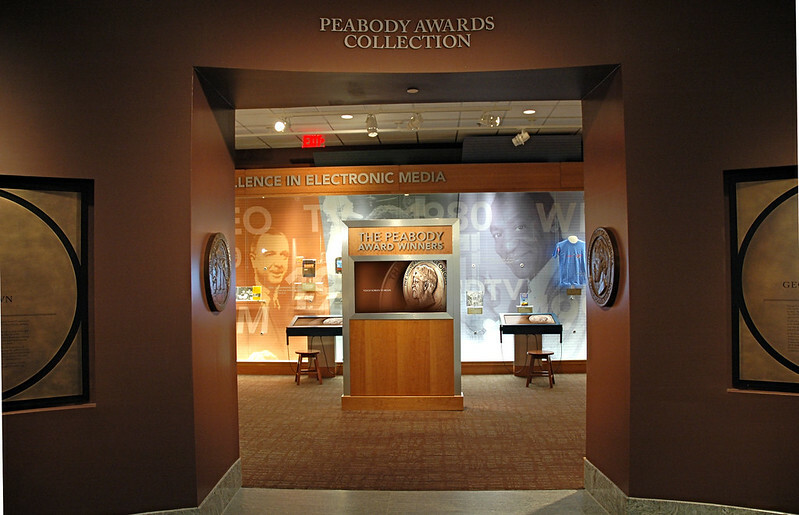 The entrance of the Peabody Awards section of the museum. 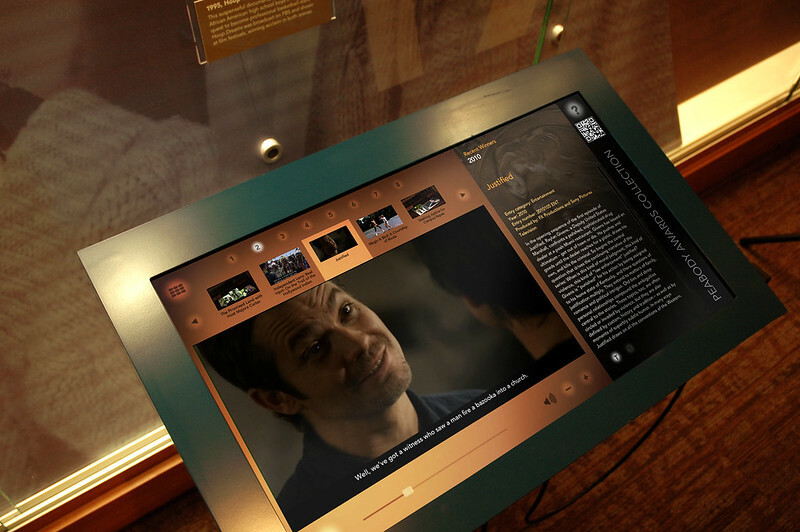 The large touch screen offers clips from all Peabody Award winners from the last two years. 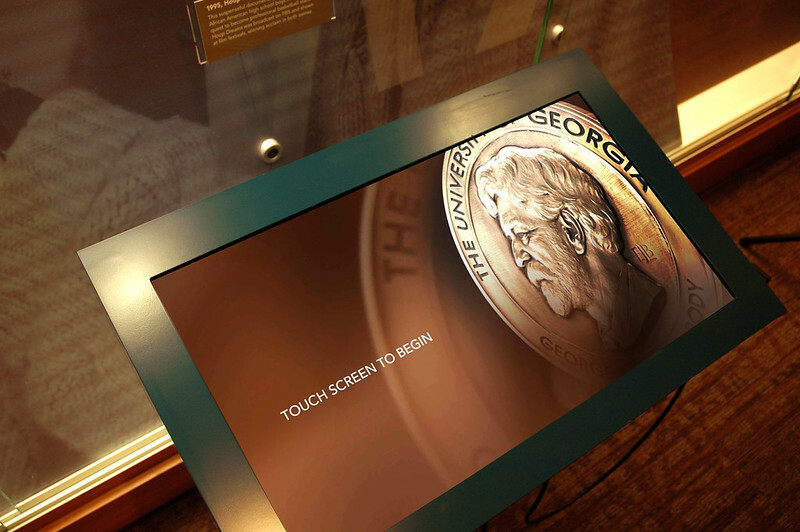 Other touch screen kiosks offer a complete database of all Peabody Award winners. VDK designed and created and installed all the digital content for the 13 kiosks in the museum. Another view of the large touch screen that offers clips from all Peabody Award winners from the last two years. 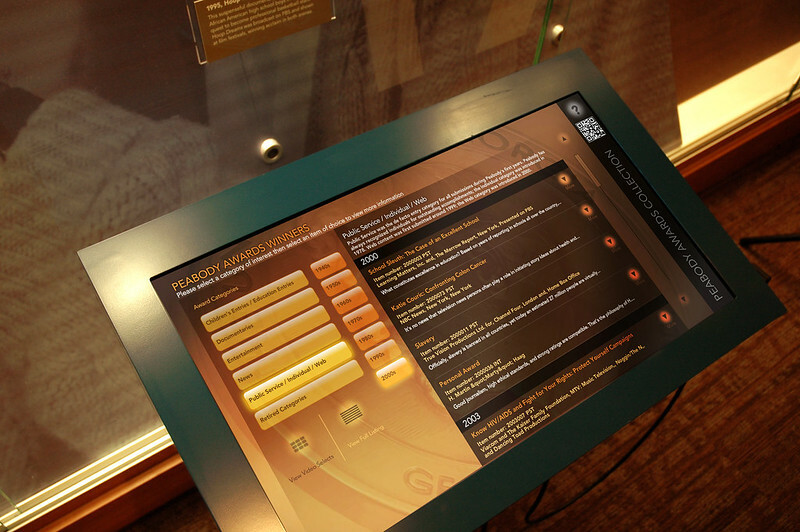 Other touch screen kiosks offer a complete database of all Peabody Award winners. We designed and created and installed all the content for the kiosks. 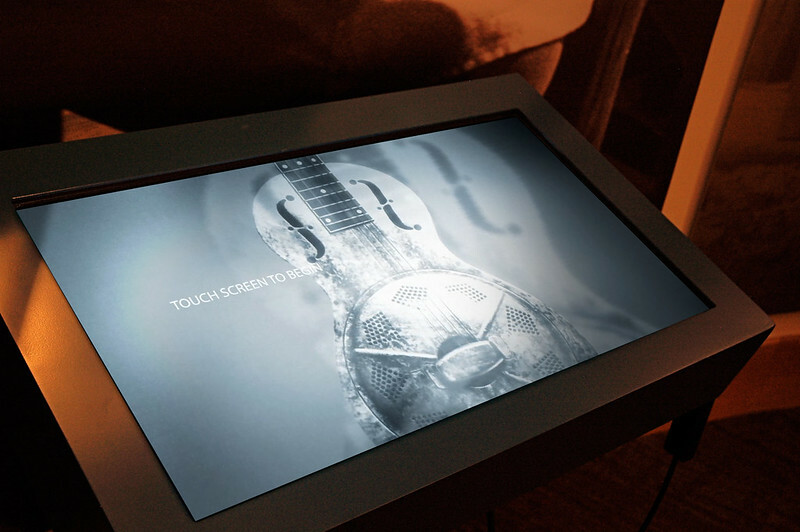 The large touch screen offers clips from all Peabody Award winners from the last two years. 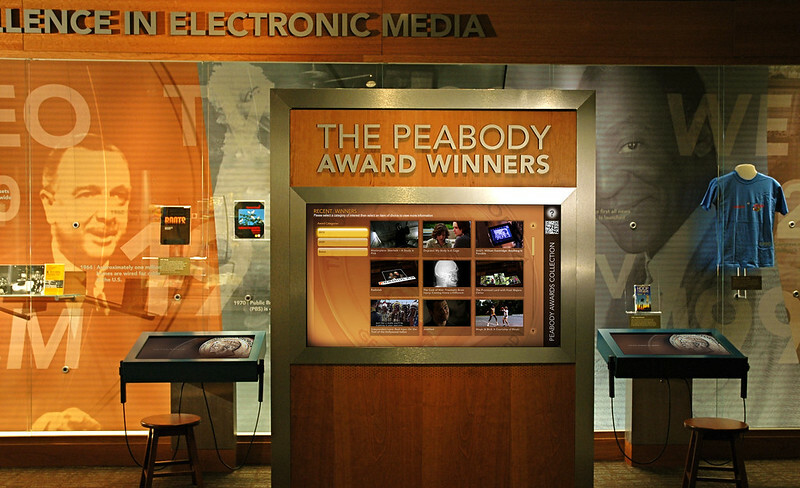 Other touch screen kiosks offer a complete database of all Peabody Award winners. VDK designed and created and installed all the content for the kiosks. 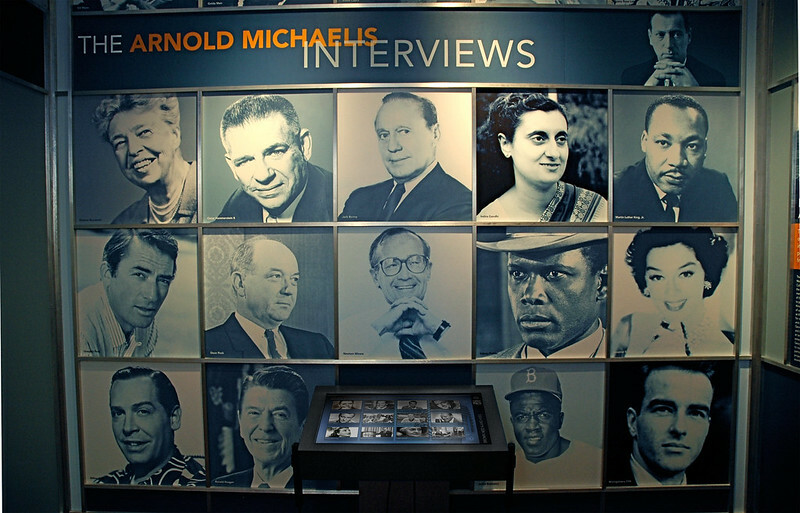 This interactive kiosk features clips from the expansive collection of filmed interviews conducted by Arnold Michaelis, including historic interviews with such luminaries as Martin Luther King, Jr., Ronald Reagan, Sidney Portier, and Golda Meir. In addition to video clips, the kiosk contains related photos, text and digitized documents about each interview and the process. 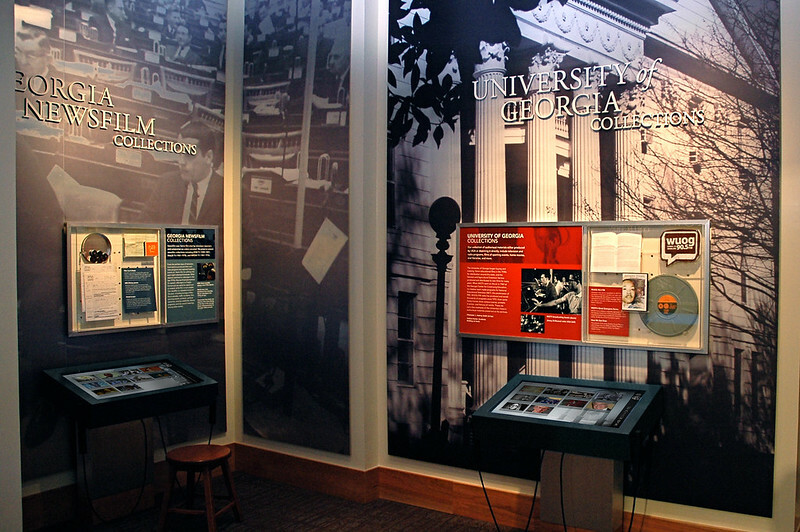 VDK designed, produced and installed all the digital content for the 13 interactive kiosks in the museum at the Special Collections Building at the University of Georgia. A close-up view of an interactive kiosk that contains dozens of clips about the history of Georgia music. In addition to video clips, the kiosk contains related photos, text and digitized documents. VDK designed, produced and installed all the digital content for the 13 interactive kiosks in the museum at the Special Collections Building at the University of Georgia. 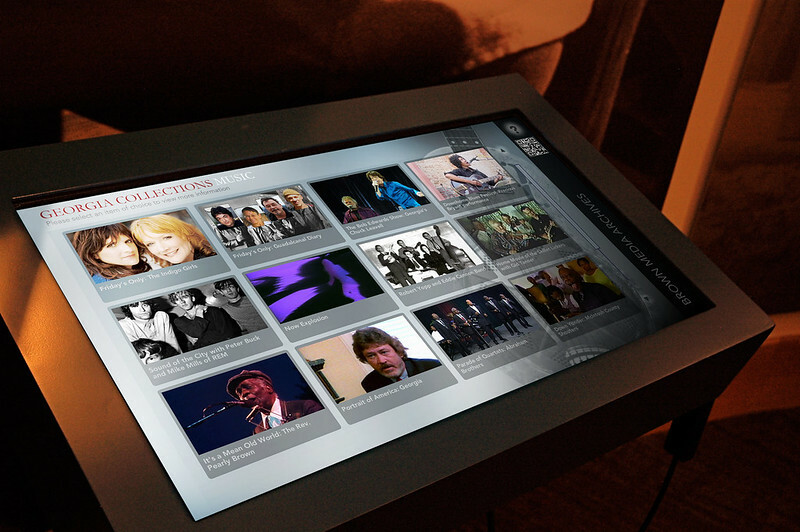 A close-up view of an interactive kiosk that shows a selection of the dozens of clips about the history of Georgia music. In addition to video clips, the kiosk contains related photos, text and digitized documents. VDK designed, produced and installed all the digital content for the 13 interactive kiosks in the museum at the Special Collections Building at the University of Georgia. 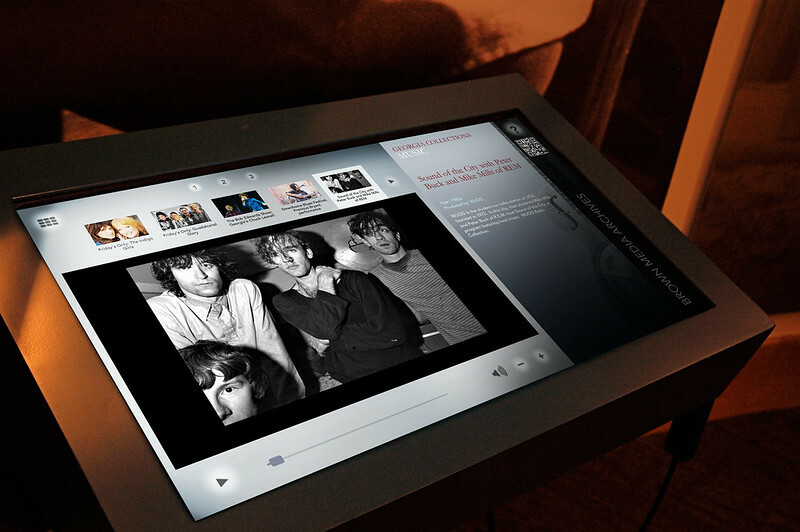 Another close-up view of the interactive kiosk that contains dozens of clips about the history of Georgia music. Here is the selected clip featuring the Athens band, R.E.M. In addition to video clips, the kiosk contains related photos, text and digitized documents. VDK designed, produced and installed all the digital content for the 13 interactive kiosks in the museum at the Special Collections Building at the University of Georgia. A view of two interactive kiosks in the museum. These contain dozens of clips from historic films from the University of Georgia and historic newsfilm from TV stations around the state. In addition to video clips, the kiosks contain related photos, text and digitized documents. VDK designed, produced and installed all the digital content for the 13 interactive kiosks in the museum at the Special Collections Building at the University of Georgia. Close up view of one of the Peabody Awards kiosks. VDK designed, produced and installed all the digital content for the 13 interactive kiosks in the museum at the Special Collections Building at the University of Georgia. Close up view of one of the Peabody Awards kiosks, showing the Peabody Awards database by category. VDK designed, produced and installed all the digital content for the 13 interactive kiosks in the museum at the Special Collections Building at the University of Georgia. 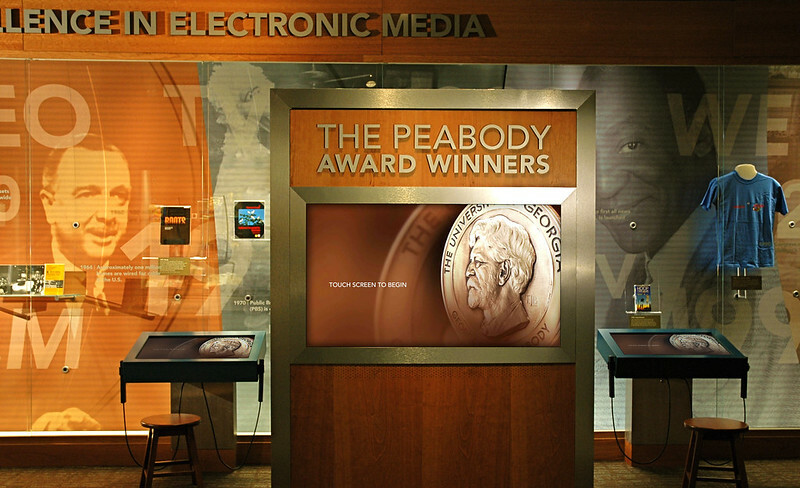 Close up view of one of the Peabody Awards kiosks, showing a selected clip from a Peabody Award winner. VDK designed, produced and installed all the digital content for the 13 interactive kiosks in the museum at the Special Collections Building at the University of Georgia.